Established in 1991 to promote European cancer clinical research, the EORTC Fellowship Programme encourages physicians, statisticians and scientists from all over the world to stay for up to three years at EORTC headquarters in Brussels. It offers opportunities to learn the principles of cancer clinical research by being attached to a specific EORTC group, a medical or a methodological research programme in the Belgian capital. It is a unique way to absorb all aspects of creating, activating and bringing cancer clinical research projects to maturity, from the inside. The EORTC Fellowship programme does not just provide training in clinical research methodology for physicians and other interested professionals. It is also a chance to use EORTC’s rich databases to work on publications that will benefit EORTC and the individual fellows. EORTC fellows acquire a high level of expertise in clinical research methodology which can contribute to future career success. In addition, all research work is performed internationally, which promotes a rapid spread of clinical trial results. Support for the EORTC Fellowship Programme comes from several sources, and more than 170 fellowships covering 35 countries have been awarded. Quality of Life Fellowship Program In children’s leukemia patients and children’s leukemia survivors. A preliminary screening of applications will be done to verify their completeness and conformity with the above mentioned eligibility criteria. Eligible applications will then be forwarded to the relevant Head(s) of Department(s) for assessment. The applicants will be contacted to arrange a telephone interview. All applicants will be notified of the outcome of the selection process. For more information about the Fellowship Programme, contact us. Jonas Willmann grew up in the North-West of Germany and earned his MD degree in 2018 at the University of Hamburg, Germany. As a medical student, he has been working in the Laboratory for Radiobiology and Experimental Radiooncology at the University Medical Center Hamburg-Eppendorf, focussing on DNA repair defects in hereditary breast cancer patients. In September 2018, he started his residency at the Department of Radiation Oncology at the University Hospital Zurich. 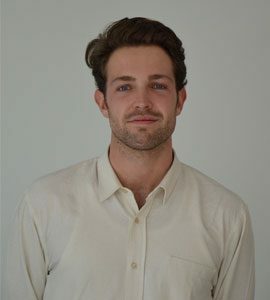 Jonas joined the EORTC as a fellow in April 2019 and his research will focus on radiation therapy quality assurance in trials related to the Brain Tumor Group, the Lung Tumor Group as well as the Head and Neck Group. 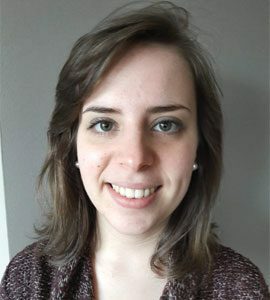 Eva Cantagallo is Belgian, with Italian origins, and joined the EORTC in February 2019 as a biostatistics fellow. She earned a master degree in biomedical engineering in 2017, and recently graduated from a master degree in biostatistics, both from Université catholique de Louvain. She carried out her biostatistics master thesis at EORTC during 6 months, working on a novel method for the estimation of the treatment effect in clinical trials, called the generalized pairwise comparisons approach, and in particular on its extension to competing risks settings. At EORTC she will keep working on the development of generalized pairwise comparisons in the framework of the BENEFIT project on one side, and will be involved in some research projects on the other side, including in the Brain Tumor Group. Dr. Giovanna Rossi joined the EORTC in January 2019 as a Medical Fellow. She holds a Medical Oncology Fellowship and a MD degree, that she obtained from the University of Padua (Italy). Prior to join the EORTC, she worked as a Research Fellow at the European Institute of Oncology in Milan (Division of Thoracic Oncology) and as a Medical Oncologist at Dell’Angelo Hospital in Mestre (Venice). She has always been strongly passionate about clinical and translational research, especially the use of liquid biopsy in breast cancer, in which she focused on during the period she spent as a Research Scholar in the US, at the Northwestern University, Chicago (IL, USA) and at the Thomas Jefferson University, Philadelphia (PA, USA). Giovanna will be involved in the ongoing trials and projects within the EORTC Breast Cancer Group. 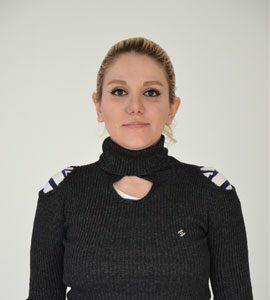 Marjan Sharabiani joined the EORTC in December 2018 as a medical physics fellow. She holds an MSc in physics. During her studies she developed a keen interest in novel methods of utilizing nanoparticles as radiosensitizers in radiotherapy, specifically gold nanoparticles to enhance the effect of radiation on the tumor target volume, while sparing the healthy surrounding tissues. She carried out a Monte Carlo simulation project on gold nanoparticle-based brachytherapy enhancement of human eye choroidal melanoma tumor and the pivotal parameters of delivering the nanoparticles to the region of interest. Having gained her master degree, she joined the biophysics department of Ludwig Maximillian University of Munich (LMU) in Germany as a research fellow. During a period of six months laboratory fellowship at the LMU, her research mainly focused on DNA nanotechnology. Regarding her deep interest in cancer treatment research, she proposed a project, using the concepts of DNA nanotechnology and its high programmability, to specify DNA strand breaks with high precision in the presence of radiosensitizers during radiation. 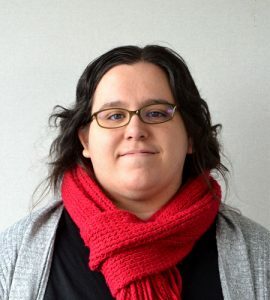 Her research at the EORTC will be focused on benchmark case analysis, investigation of sources of variation in tumor delineation and finding out strategies to reduce the source of variability during clinical trials. Dr Marie Vinches came to the EORTC in November 2018 from Montpellier University, France. She holds a MD in Medical oncology and a Master degree in cancer biology. During her residency, she has developed a strong interest in translational and clinical research with a particular commitment towards head and neck cancer. As a Medical fellow, she will be involved in the Head and Neck tumor group, in particular in the “UPSTREAM, umbrella trial”. She will also participate in rare tumor projects related to the Sarcoma group or linked to the SPECTA platform. 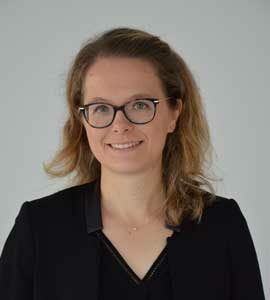 Dr. Laurène Fenwarth joined the EORTC in November 2018 as a Medical Fellow. She earned her MD degree in Pediatrics in 2018 from Lille University in France. 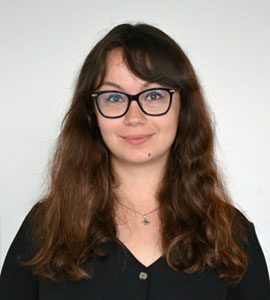 She achieved her Master of Science on molecular biology in Acute Myeloid Leukemia at INSERM UMR-S1172 in Lille in 2017 and has undertaken a PhD from 2017 in line with her Master research project. Since then, she has been working on molecular biology in Acute Myeloid Leukemia and predisposition syndromes to hematologic malignancies. 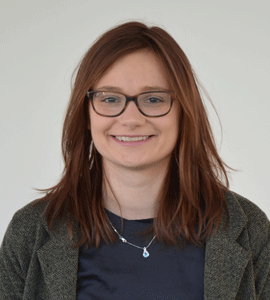 Laurène is also an active member of the ALFA group (Acute Leukemia French Association). She joined the EORTC as a Medical Fellow in Hematology. She is involved in Leukemia, Lymphoma and Cutaneous Lymphoma Groups trials. 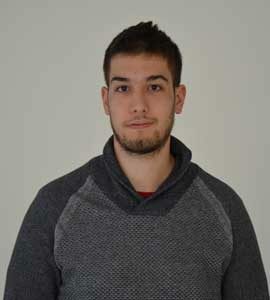 Georgios Kantidakis joined the EORTC in November 2018 as a fellow in biostatistics. He obtained his BSc in mathematics at the National and Kapodistrian University of Athens. Later he earned his master of science diploma in statistics at Leiden university with a specialization in the life and behavioural sciences. He has worked as intern in the National Bank of Greece and in Leiden University Medical Center (LUMC), where he carried out a project about clinical data regarding osteosarcoma. George will realize research projects for the Soft Tissue and Bone Sarcoma Group (STBSG) and a PhD project on predicting survival of cancer data with machine learning under the supervision of Prof. Marta Fiocco and Prof. Hans Gelderblom from LUMC in The Netherlands. Methodology developed will be applied to analyse the STBSG database and develop new designs for clinical trials. 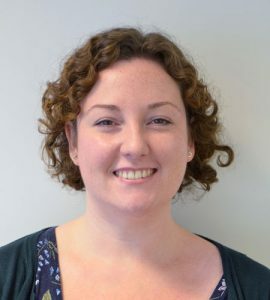 Sarah Kelly joined the EORTC from the UK in October 2018. She holds a BSc in Radiotherapy, IPEM Diploma of Clinical Technology with a Radiotherapy Physics specialism and an MSc in Physics and Engineering in Medicine- Radiation Physics specialty. Sarah’s previous experience includes treatment delivery and quality assurance of radiotherapy but her main area of practice is in treatment planning. She has most recently focused on the development and planning of complex sites including paediatrics, lymphoma and sarcoma. 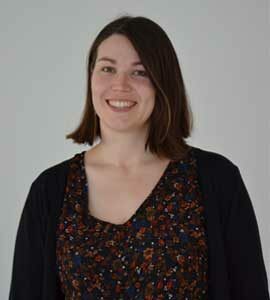 Sarah is a research fellow on the QUARTET project, which aims to improve outcomes for children and young adults with cancer across Europe. In a collaboration between SIOPE and the EORTC, the project will develop standards for quality control of radiotherapy in paediatric clinical trials and implement an online prospective quality assurance programme. Teodora Lalova is Bulgarian. She obtained her LL.M. degree at KU Leuven (Belgium) in 2018, specializing in International and European Business law. She holds a Master of Law diploma (2016) from Sofia University (Bulgaria). Her previous professional experience includes various internships, both in the private sector (at an acclaimed Bulgarian law firm, active in the field of commercial and business law), and at public institutions, such as Sofia Regional Court, and the Pardons Committee at the President of the Republic of Bulgaria. 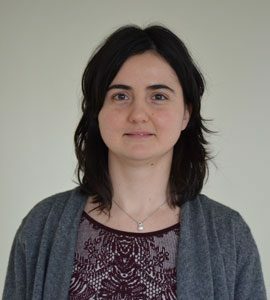 Teodora joined the EORTC as a fellow in September 2018. She is conducting legal research in the sphere of Cancer Survivorship and the right to be forgotten. The project, in which Teodora is involved, provides also the foundation for her PhD studies at KU Leuven, where she is working under the supervision of Prof I. Huys (Faculty of Pharmaceutical Sciences), and the co-supervision of Prof P. Valcke (Faculty of Law). Blaise is a holder of Master of Science (MSc) degree in Epidemiology and Public Health that he obtained from the University of Wageningen, the Netherlands. During his MSc studies, Blaise developed a keen interest in cancer epidemiology in which he was involved in several epidemiological studies including the Consortium on Health and Ageing: Network of Cohorts in Europe and the United States (CHANCES). In September 2018, Blaise joined the EORTC as an Epidemiologist Fellow in ‘’Your Outcome Update (YOU protocol)’’- an EORTC infrastructure intends to optimize long-term follow-up and research of patients treated in clinical research. In the same context of YOU project, Blaise will contribute in long-term data collection of cancer survivors in the setting of clinical trials and population-based cancer registries which will enable to keep long-term track of patients and understand different dimensions that cancer survivors need. Nicolas holds the equivalent of a Master of Science (MSc) degree from the National School for Statistics and Information Analysis (ENSAI) that he obtained in Rennes, France. 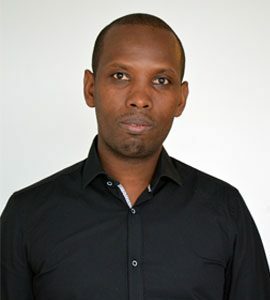 He is specialized in Biostatistics and gathered experience from his time in one of INSERM MRU (Mixed Research Units) called SPHERE (methodS in Patients-centered outcomes and HEalth ResEarch) where he was to evaluate the impact of gambling involvement by using an observational cohort of gamblers. 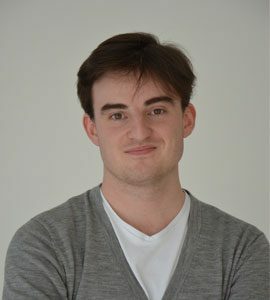 Nicolas joined the EORTC in April 2018 as a fellow in Biostatistics. As part of the Soft Tissue and Bone Sarcoma Group, Nicolas’ current work includes a retrospective evaluation of neo-adjuvant/adjuvant treatment in angiosarcoma, as well as a research project that aims at assessing the prognostic significance of bone metastases in soft tissue sarcoma. Nicolas is also involved in the redesign of a Head and Neck clinical trial evaluating the efficacy and safety of chemotherapy vs androgen deprivation therapy in patients with recurrent and/or metastatic, androgen receptor expressing, salivary gland cancer. 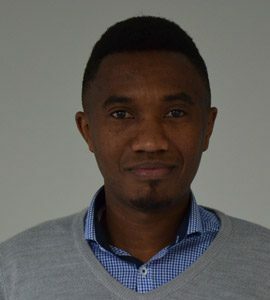 Aimé Lambert Uwimana is Rwandan and he holds two Masters Degrees in Statistics with specialization in Biostatistics as well as in Epidemiology and Public Health Methodology (EPI), both obtained at Hasselt University, Belgium. He earned his first master’s degree in Biostatistics in September 2016 and his second in EPI in September 2017. In December 2017, Lambert joined the EORTC as a fellow in Biostatistics in order to carry out a research project on Breast Cancer such as MINDACT and clinical trials design. Justyna is Belgian and comes from Poland. She is a psychologist and earned her both master degrees (in clinical and then, organizational psychology) from Université Libre de Bruxelles, Belgium. Prior to joining the EORTC, she has worked in different nonprofit psychiatric and psychosocial institutions. Justyna joined the EORTC as a fellow in Quality of Life to conduct the research project on “Reference values data for EORTC QLQ-C30 for Hodgkin’s Lymphoma and Breast cancer”. This project will allow to facilitate the use and interpretation of Health-related Quality of life data, which are becoming an important endpoints in clinical trials. Indeed, HRQOL are helping to provide information regarding which treatment offers the best quality of life and the greatest improvement in psychosocial aspects of care. 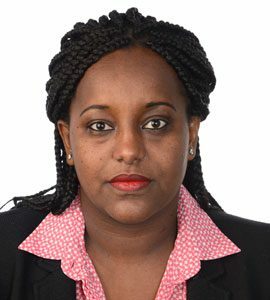 Mekdes Taye is Ethiopian and she holds an Advanced Master in Public Health Methodology from Université libre de Bruxelles (ULB) and Master of Statistics degree with specialization in Biostatistics from Hasselt University, Belgium. She joined EORTC in August 2017 as a fellow in the Quality of life department. At EORTC, Mekdes will be involved in the project “Determining reference value for EORTC-QLQ-C30 for Hodgkin’s Lymphoma (HL) and Breast Cancer”. This Project aims to provide a more evidence-based approach to interpreting health-related quality of life (“HRQOL”) scores of the QLQ-C30, using data from Phase II and III clinical trials conducted by the EORTC. Dr. Mitsumi Terada joined the EORTC in June 2017 from Tokyo, Japan. He earned his MD degree in 2009 from the Jikei University in Tokyo. 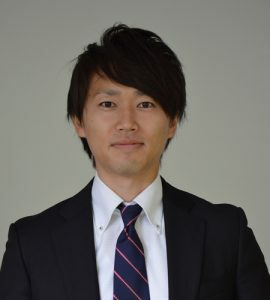 He started his career as a general surgeon, and in 2014, he worked as a surgical fellow at the department of gastric surgery at the National Cancer Center Hospital East in Chiba for about 3 years and he specialized in gastric cancer as well as laparoscopic gastrectomy. From October 2016, he joined the Japan Clinical Oncology Group (JCOG) Operation Office to learn methodology of clinical trials. Mitsumi joined the EORTC as a Medical Research Fellow in the EORTC Gastrointestinal Tract Cancer Group. He will be involved in various aspects of EORTC trials including INNOVATION-TRIAL (INtegratioN of trastuzumab, with or without pertuzumab, into periOperatiVe chemotherApy of HER-2 posiTIve stOmach caNcer), DREAM (Diffusion-Weighted Magnetic REsonance Imaging Assessment of Liver Metastasis to Improve Surgical Planning), and a new collaboration project between EORTC and JCOG. Dr. Teresa de Rojas comes to the EORTC from Madrid, Spain. She holds a Medical Degree obtained in 2010 at the Complutense University of Madrid, and a Specialty Training Degree in Pediatrics obtained in 2015 at the Children’s Hospital Niño Jesús, also in Madrid. She worked as a Clinical Fellow in Pediatric Oncology at the same hospital for one year, and was involved in the CNIO-HNJ Clinical Research Unit for Pediatric Phase I/II Clinical Trials. Since June 2015, she has also been a PhD candidate at Autonoma University in Madrid, where she is investigating ways to improve the treatment of pediatric CNS embryonal tumours. Teresa joined the EORTC in February 2017 as Medical Research Fellow in the Children’s Leukemia Group. She will be involved in the “Long term ALL survivors outcome” project, among other projects in the field of childhood acute lymphoblastic and acute myelogenous leukemia. Teresa’s fellowship is supported by FOCA (Fonds Cancer).